When you decide to push your design over and above, all you need are the best brochure mockups. With these, you can see your artwork in action, send it out to the client or even use it on your own online portfolio. The part you will probably like the most about all these is that they come free of charge. In addition to that, all templates are of the highest quality and super simple to employ. Thanks to Photoshop and smart object layer, you simply drag and drop your creation and see it “real-time” immediately. With this in mind, you can have multiple variations of your must-have brochure ready and set in mere minutes. 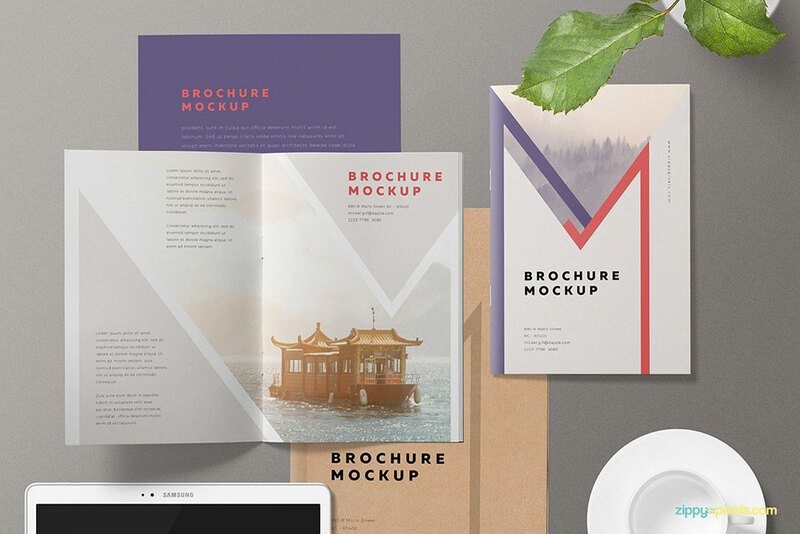 You can use our cutting-edge collection of free brochure mockups for all sorts of intentions. Best for marketing and promotional purposes, create the neatest designs that will entice and impress the end user. Moreover, have them hooked and intrigued to flip through the brochure to see what’s hot. From brand awareness, new products and services announcement, bi-fold, tri-fold, you name it, brochures could be for everyone, as well as in a number of different styles. For your convenience, we have a broad variety of brochures, booklets, flyers, pamphlets and leaflets in PSD for you to take to your advantage. If your client is a university, this bi-fold brochure mockup is the best pick for you. It is designed specifically for schools, universities and colleges to save you loads of time and effort. Now, you can present your work in a professional and sophisticated, very photo-realistic way. While you can benefit from the default settings, you can also adit and improve the layout with your creation and even use it from something entirely different. Of course, you do not need to stick with the university theme. 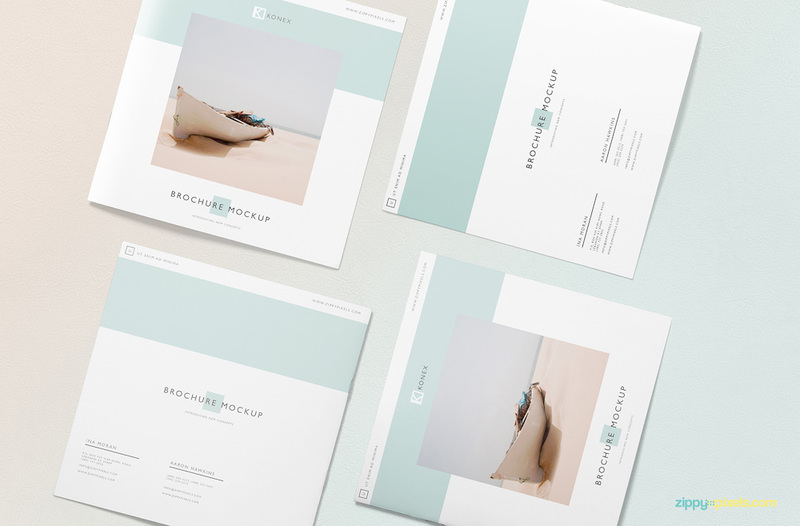 In the bundle, you get two mockups, one features a stack of three brochures and the other a spread brochure. 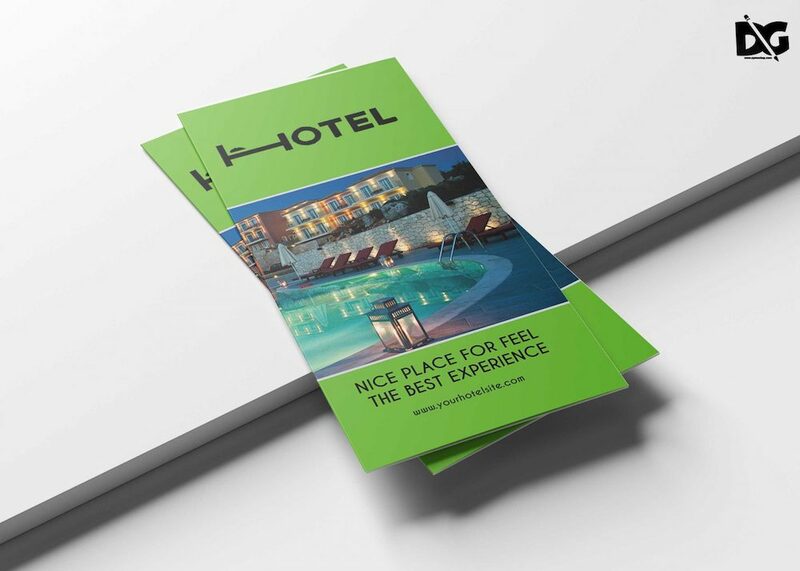 Designers who work with a real estate client or, more specific, with a hotel owner, here is a brochure mockup ideal for you. 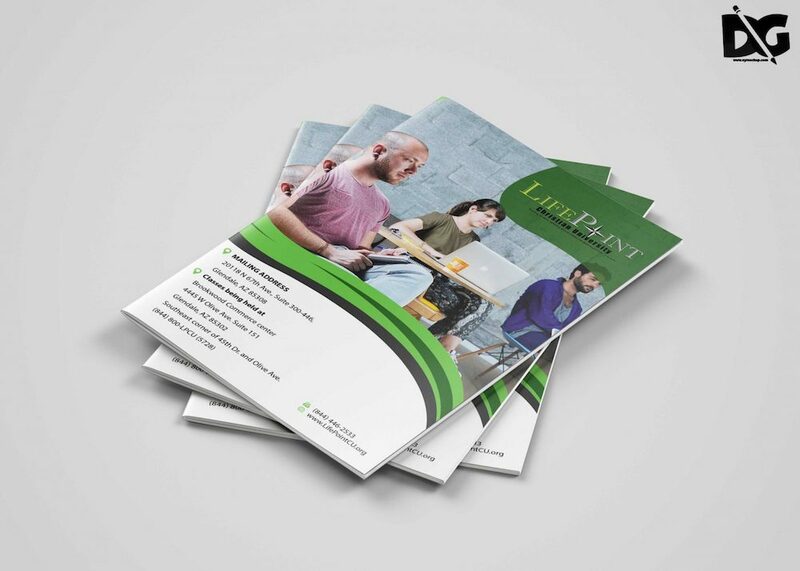 It is a tri-fold pamphlet template in green. However, you can easily change the look of it entirely and make it follow your client’s branding to a T. Moreover, instead of one, you actually get three different looks of the same brochure for more freedom and extended professionalism. Use it both for personal or commercial purpose and impress not only your client but the end users as well. Present special deals, rooms and other services uniquely. Some are single, some bi-fold, the others tri-fold and you even have four-panel roll fold brochures. For your convenience, we hand-collected something for everyone. 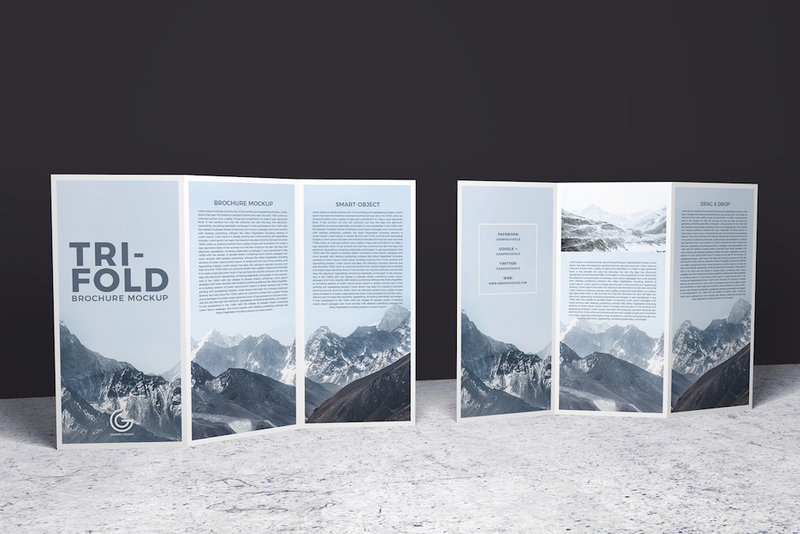 This particular free brochure mockup is the four-panel roll fold variation with a stunning look, enriched with sophistication and elegance. You can customize every section of the pamphlet and make it your own without hassle. Download it now, import it in Photoshop and look for the smart object layer. From then on, the task becomes simple and fun, offering you to have the look you want to achieve with your brochure ready quickly. 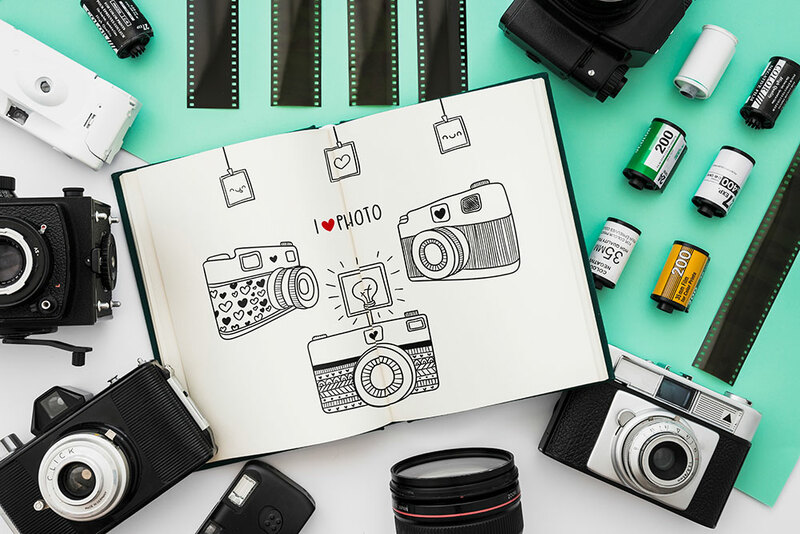 Get creative or do things the minimalist way, whatever the case, succeed with this neat mockup layout. While you are used to seeing vertical brochures most often, you can use a landscape/horizontal style as well. The latter ones are somewhat more elegant and aesthetically appealing, but that might be due to the fact of not being that popular in the everyday use. That said, if you are ready to differentiate yourself, you can do it by choosing a different format for your brochure. From then on, get a free mockup like this one and attach your design to it to see its exact version. You can now decide if it needs additional editing or not and be fully comfortable when sending it out for print. 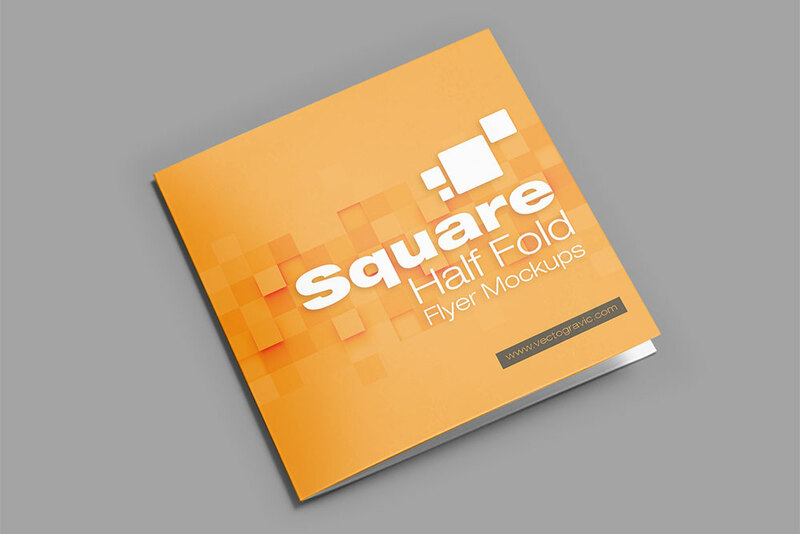 Square brochures are also available and, would you look at that, we have the ideal bi-fold mockup here for you. This sample gives you a bunch of different views; outside and inside, as well as with male hands. The variation with male hands gives you a super photo-realistic view that will spark everyone’s interest. 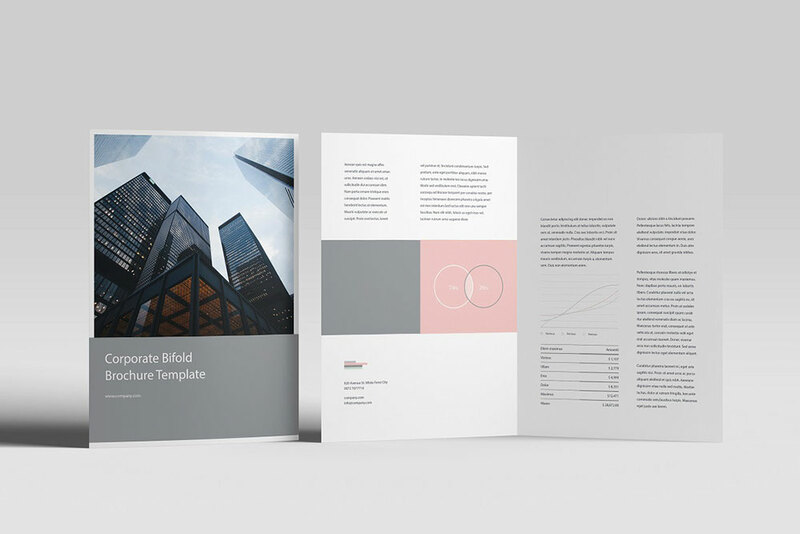 To help your client better visualize how the end product will look like, demonstrate it to them with a free brochure mockup and take their breath away. Download this freebie now and get things to come to life with ease and flow. Before you fully realize your marketing ideas, you better test things out first and be safe than sorry. Sure, it might take you one additional step but at least you will avoid any inconvenience. Just imagine, printing a thousand brochures with the wrong color or font – no good! 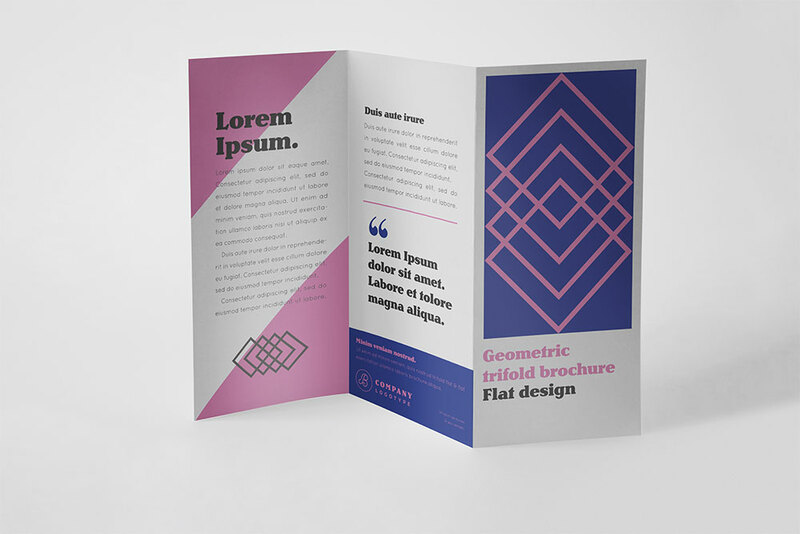 Anyhow, if you have your design for a tri-fold pamphlet ready, employ this free brochure mockup and see its lifelike version. You noticed that there are quite a lot of details on this template, from plant to coffee cup and pencil to name a few. You can use, reuse or reposition these in the exact way you fancy. When you decide to use a brochure to send your message out, you need to strategically craft the right design that will intrigue them. Not only that, show how serious and how professional you are so they will never doubt in you. If pushing a product or a service, get your hand on this A4 bi-fold brochure mockup and start bringing your craft to realization. A mockup could be the final step aka the final proof that your creation works out flawlessly. And in case you or your client are not fully satisfied, fine-tune it now and test it out again for as long as it does not satisfy both parties. 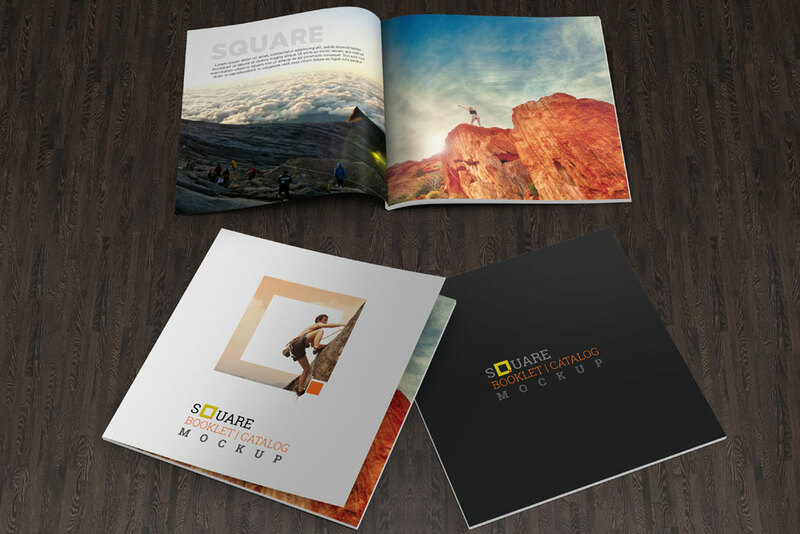 For photography projects, this free brochure mockup is the ideal solution to showcase your outstanding photographies. Get your name known with a simple thing as a pamphlet. And if you are hosting a photo exhibition, invite everyone interested with a brochure where they can learn more about you and your works. Or simply stun them with impressive imagery. Whatever the case, create a unique, lifelike version of a mockup with this template by editing the file in Photoshop. Enrich it with your personal touch and make it stand out due to all the details the mockup includes. We already covered the bi-fold square mockup; here we now have a tri-fold alternative. To promote your business like a champ spread the awareness with a striking pamphlet that will get everyone’s attention. Bear in mind, this exclusive layout offers six different views for you to take the presentation to a whole other level. You can fully design the inside and the outside of the brochure and make it appear special with all these additional looks. Besides, you can also change the design and make it follow your brand’s precisely. There is a ton you can accomplish with a free template for brochures and get things to a whole other level. 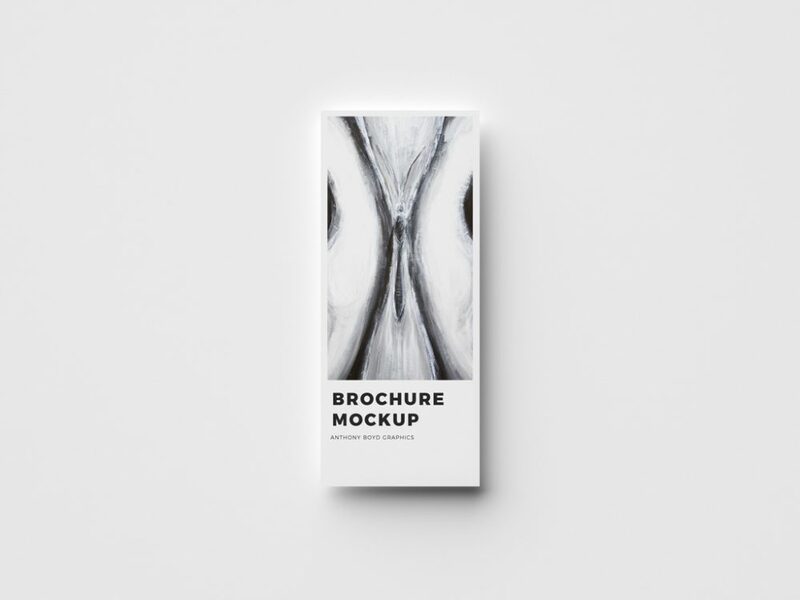 This free brochure mockup is more of a booklet, but you can use it however you fancy, for whatever project you work on. It is a versatile and adaptable tool that presents your company or client’s services originally and uniquely. No need to stick with the out of the box version instead, go against the norm and bring in front of the potential audience something fresh and novel. Get them interested and make them talk about you and your offerings with their families and friends. To increase the hype, there are eight different scenes you get access to, and you can also alter the color of the background. 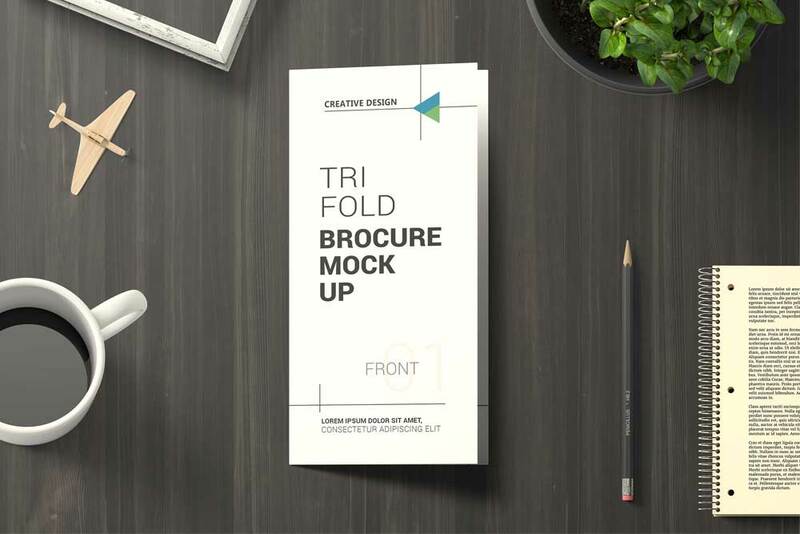 Another beautiful and eye-catchy free tri-fold brochure mockup for your advertising ideas. You can now create the final product without actually printing it. With this process, you can see how your promotional artwork looks and improve it if needed. Only then, when your client and your personal creative spirit are 100% satisfied, printing begins. Download the PSD file, import it into Photoshop and start editing it. You can modify colors, typography and all other elements and forge the best fitting brochure out there. Besides, if working with multiple clients who are in need of pamphlets, you can hammer out entirely different styles at a rapid pace. Call it a brochure or a booklet, both work, making this mockup a versatile template for many uses. Whether your a drug store promoting your latest products, a brand advertising their latest drop or even a service-based business, create a brochure and jump on board. While some of the mockups come with one scene only, this one includes eight for you to get the most out of it. From closed to open, back, front and inside, all views are available for everyone who downloads this square brochure mockup in PSD. Make it your own or simply add it to your collection for later use. 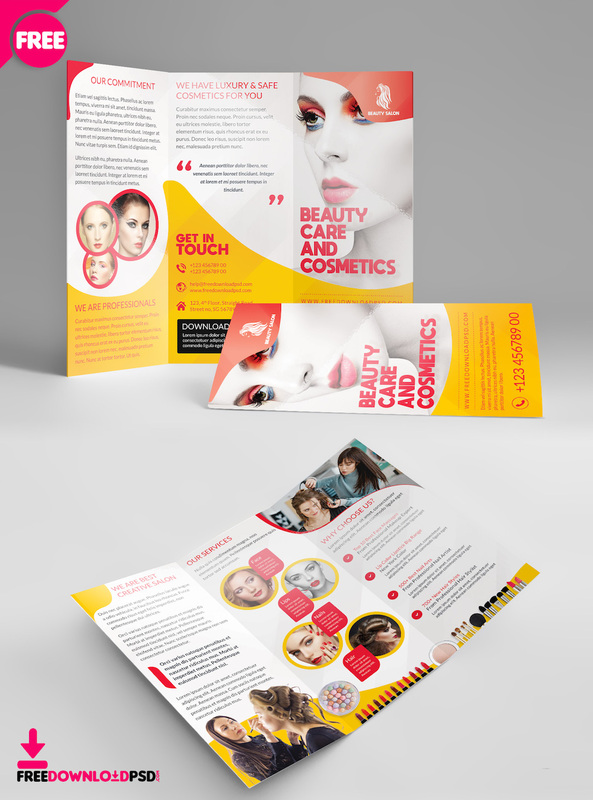 From a single A4 paper format, you can easily create a vertical tri-fold brochure. Make it one-of-a-kind by utilizing this free template and testing out a whole bunch of different variations. The free brochure mockup offers a bird’s-eye view at the pamphlet for everyone to enjoy its visually appealing graphic presentation. One thing is for sure, just like all the rest on this list, it is a very realistic brochure which you can decorate with your designs easily and effortlessly. Change the colors, the fonts, add your image and personalize the experience and make it follow your branding precisely. There is a horde of different ways how you can market your business, and a banging brochure is one of them. 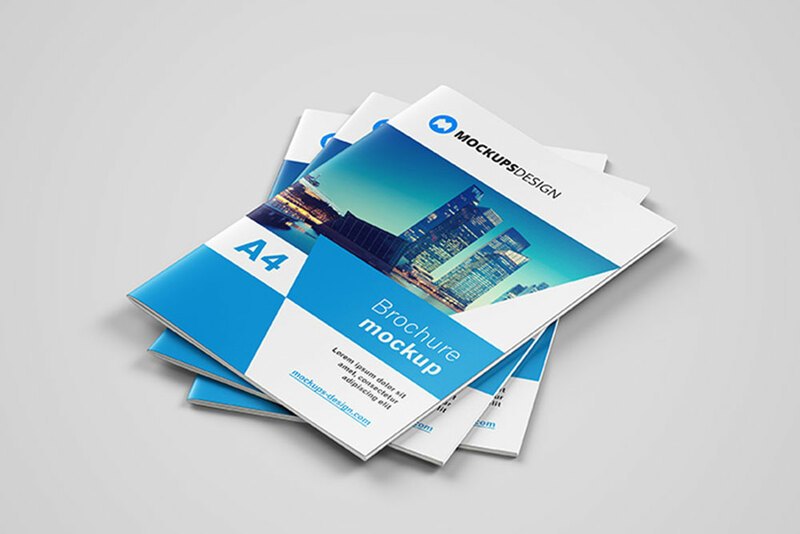 If you are looking to create a smaller size brochure, you can rock this A5 brochure mockup and see the magic happen. 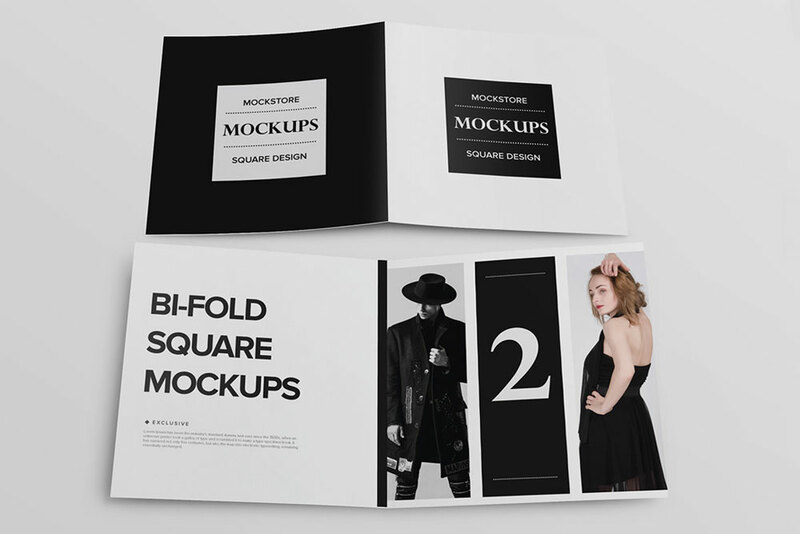 It is a bi-fold brochure aka booklet mockup in a very attractive atmosphere. The sample is packed with various working areas for you to add your creations and see instant results. Along with the brochure, the mockups also includes letterhead, file, cup with plate, plant and more. You can also change the background to help push the actual artwork of yours. You are in right hands with all the free brochure mockups you find here. They are all super simple to utilize for the refined, clean and professional outcome. Just the basic Photoshop knowledge is required and you can better imagine how the final work would look like. That said, whether a web designer, a one-man brand or a company, with a brochure, you can do a lot in the name of growing your name. Do not miss employing it and see the difference. Predominantly, most of the pamphlets are vertical but that is not the case for this stunning masterpiece. Demonstrate its realistic visualization and make an impression. 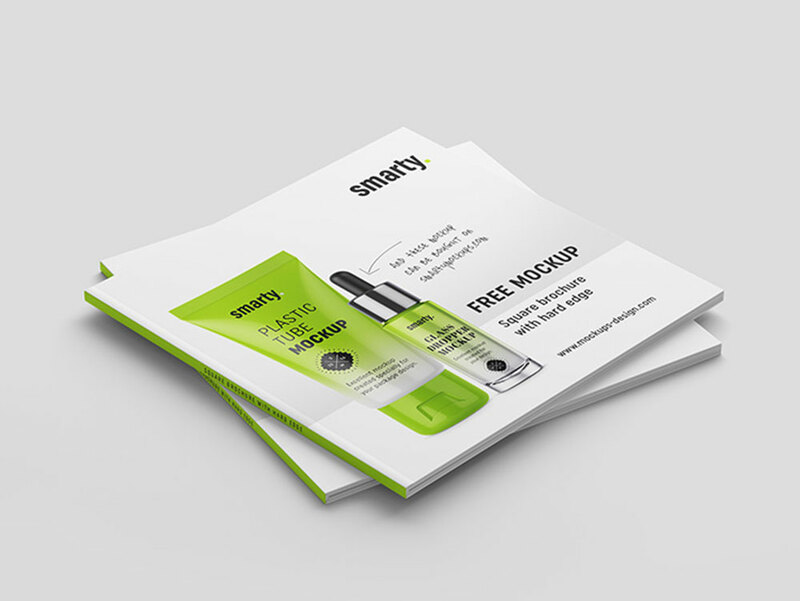 It truly is too easy to be true to work with a free brochure mockup. Even if you are a newbie designer, you can achieve fantastic results with it as well. Heck, you only need to have Photoshop and all the rest comes pretty naturally. Find the smart object layer and you are nearly done. For tri-fold square brochures, you came to the right place. A simple and to the point scenery that emphasizes your artwork and the final brochure that you will then send out for print. Even the background, you can modify for a killer brochure demonstration. It is all about making it visually appealing and tempting so they actually check it out. Yes, I am speaking about brochures and pamphlets. 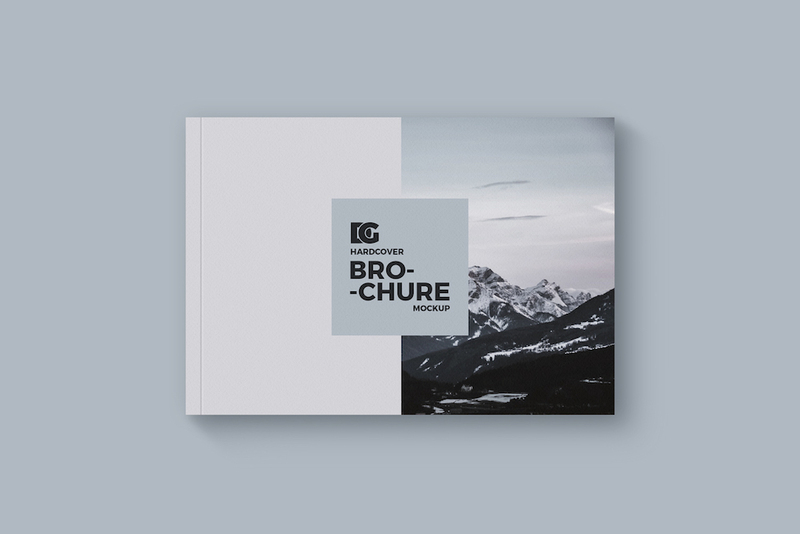 However you want to call it, we bring you a stunning brochure mockup with a front and back or inside and outside look with an editable background. In short, you can adjust and enhance this template at free will. Since it comes at no cost, you can download it right away and start putting it to use immediately. Update it with your artwork and make it shine with all of its light. All you need to do is to drag and drop your work and you are ready to roll. If you would genuinely like to differentiate yourself from the masses, now is the right time to do it. 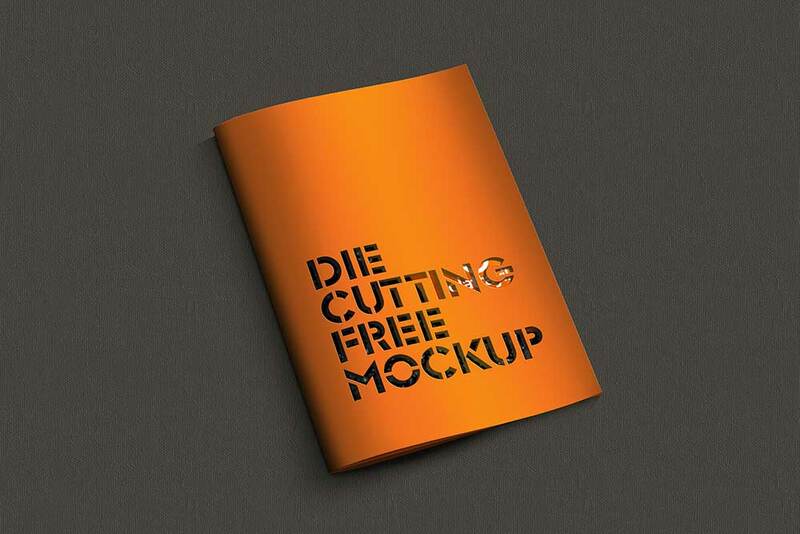 With this die cut brochure mockup, you can achieve fantastic results without the need to print it just yet. You can first experiment with numerous different combinations to find the right one for your project. In the bundle, you get two PSD files of which one features a closed and the other an opened booklet. Just like all the rest, edit it with Photoshop and you can be done quickly and efficiently. Always look for new ways to stand out from the masses. When designing a tri-fold pamphlet for your client or even for yourself, first, you need to lay down a solid artwork. From then on, you need to find a way to test the photo-realistic version of the outcome. With the right free brochure mockup and your creation ready, you can see how the final product would look like in just a few clicks. Edit all three sections of the brochure and see instant results. To your surprise, all you’ve done works out seamlessly. On the other hand, if you feel like some light improvements are needed, do them now before you print it. Regardless of what you offer to the crowd, chances are, you might push your latest deals, products and services with a brochure. Since many are using it and not slowing down a slight bit, you can benefit from it, too. 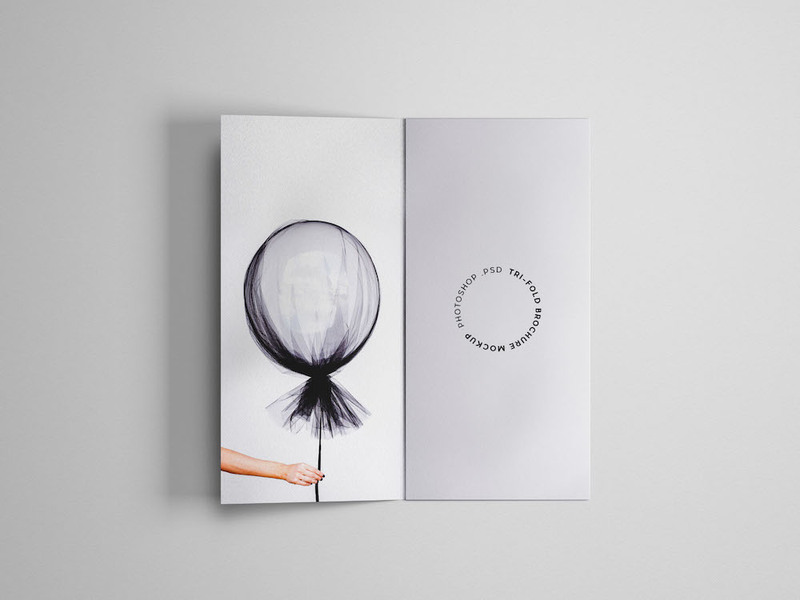 That said, create your own presentation with a brochure, a booklet or a pamphlet using this cracking free mockup. It is of square shape and lets you change the front, the back and the inside pages to enjoy a graphic sneak peek. In Photoshop, look for the smart object layer and edit it according to your needs. 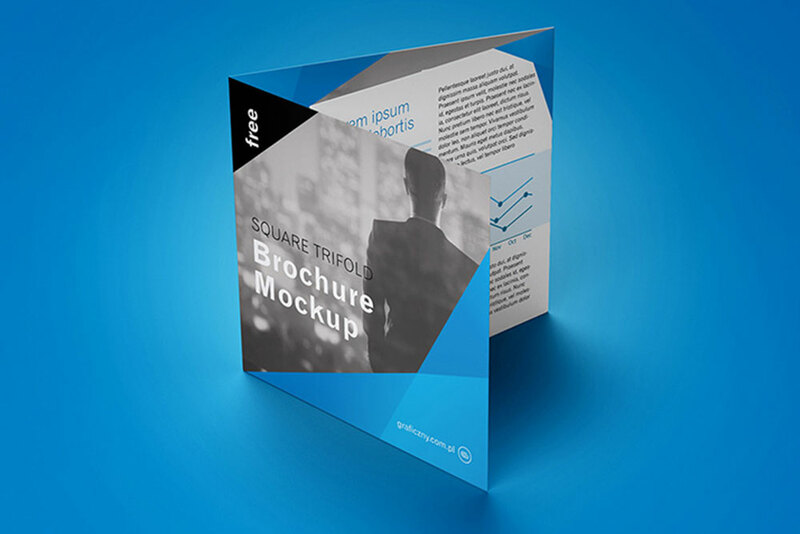 Download a free brochure mockup and have a preview of the final product ready in close to no time. This beautiful template includes four working areas, as well as permits you to edit background and alter shadows. Put your creative thinking to play and start modifying it to your heart’s content. Before you know it, you have an attractive and tasty demonstration of the brochure. Send it out to your client to investigate it further before printing begins. Also, create a stupendous brochure design and use it on your online portfolio website, and increase your potential. The possibilities are endless so take full charge of it. A brochure can be great for branding, as well as to offer special deals and offers. Whatever the case might be, we bring you the complete collection of free brochure mockups for you to enjoy. If working with multiple clients, now is your chance to fuel your imagination with new ideas and start hammering out original and creative designs to wow everyone. Help them out spread their name and grow their businesses with something as basic as a brochure. It is a tri-fold brochure we got here and you can utilize it with a click of a mouse. Just download it and you are ready to roll. 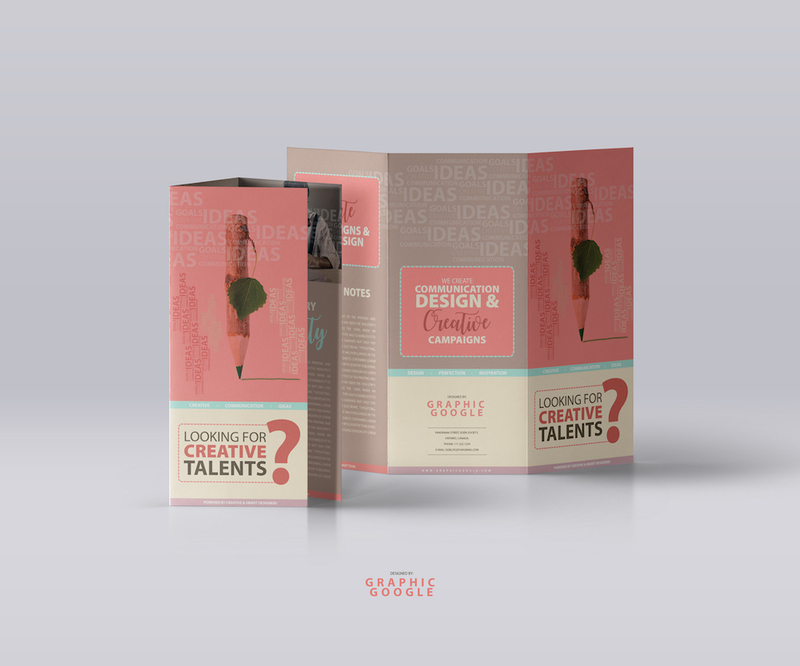 Either you are a multi-talented business owner or a designer, when the niche is beauty, here is the most ideal brochure mockup for you. For free! It gives a photo-realistic feel to it, as well as all the rights to create both the front and the back of the surface. It comes in a few different scenes that give an even better idea of how the actual printed version will appear. 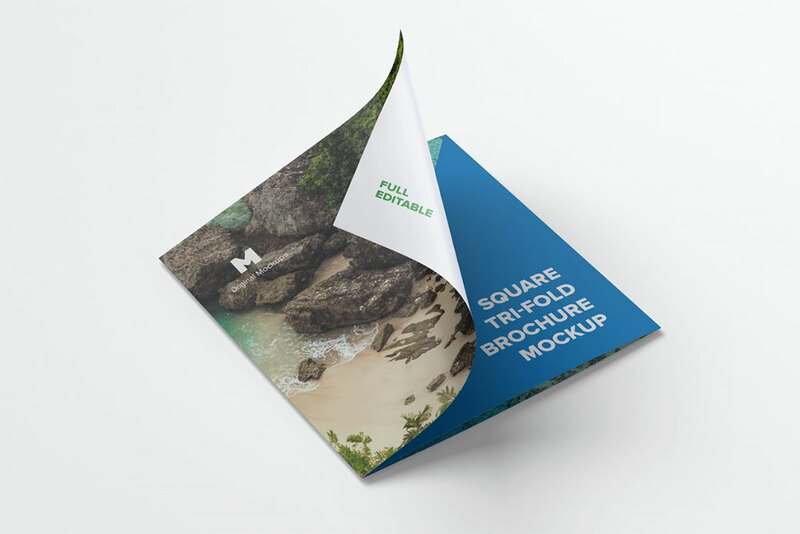 No need to complicate, simply download the dedicated mockup template and see the difference in just a few instants later. When you have the right material and elements on hand, your workflow increases significantly. When you are creating a tri-fold brochure, of course, you want both sides to have content on it. 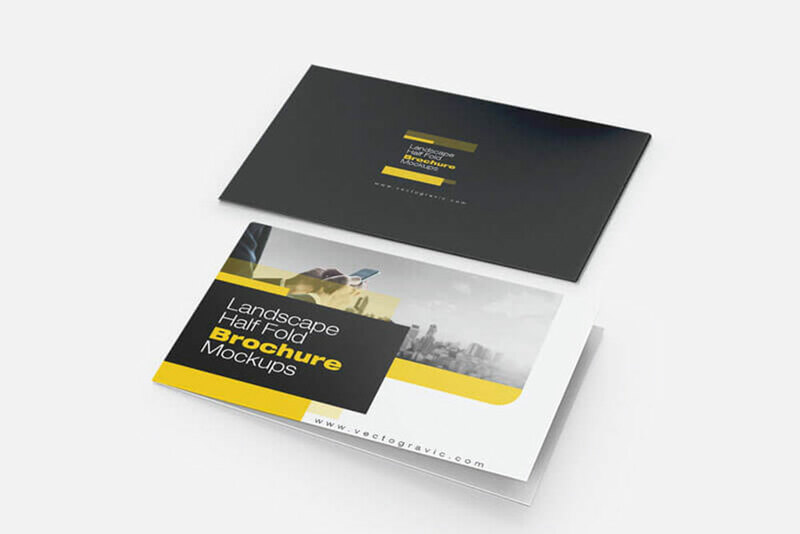 To do things right, with epic style, use our free brochure mockups and save yourself both time and energy. A stunning template awaits you, enhanced with gorgeous colors and elegance. After the download, insert your work and create both sides of the pamphlet without hassle. You will see your artwork appear straightaway for you to do quick correction real-time. 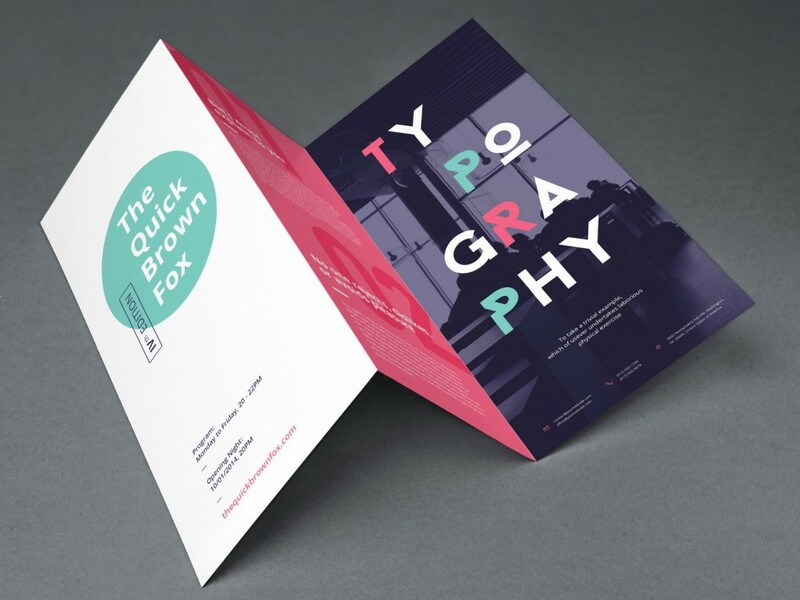 Create a marketing medium that will take your or your client’s brand name to new heights thanks to your ingenious brochure design. This could be the cover of a tri-fold brochure or even a thin bi-fold variation. No matter what for you use this free mockup, you can easily edit and step it up per your request. Notice: to attain the best possible outcome, make sure you use your style of the same size as the dimensions you get in the help folder. Sure, you can do your thing as well but is not necessary. 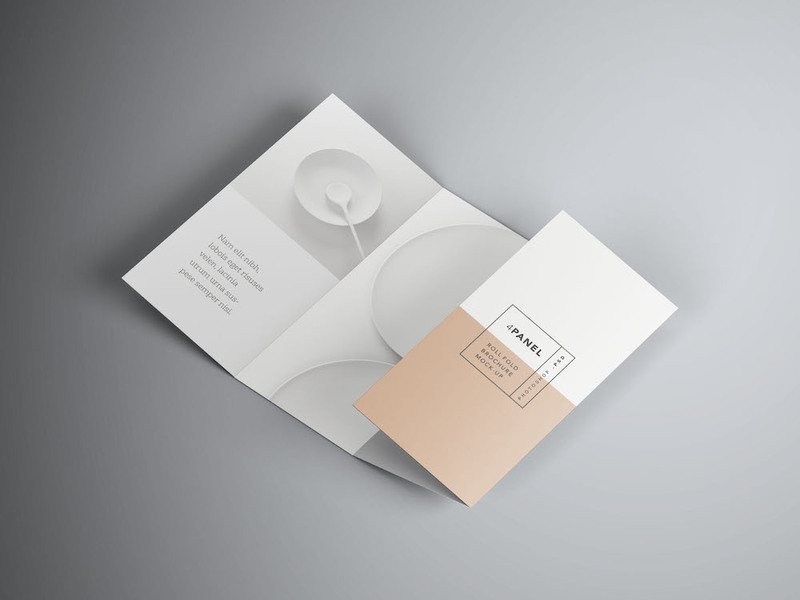 Keep things simple, create a clean and minimal white brochure preview and express your sophistication and stylishness in a modern and contemporary way. Get it done the right way.